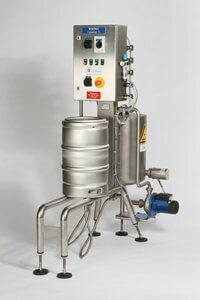 m+f KEG-Technik has a 100% focus on KEG cleaning and filling solutions. With over 40 years of experience in the KEG field only, we call ourselfs specialists. We first like to know your business needs, before we can advise the right machines and its options. Our global sales network gives us local presence. 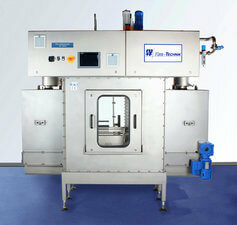 With our “tank to tap“ approach we have all the knowhow in handling your specific product filling needs. 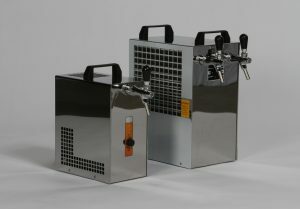 If it is Beer, wine or other liquid products, different CO2 contents and different KEGs. 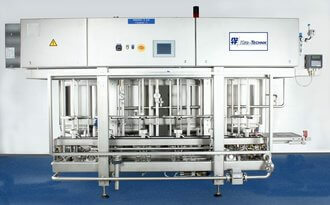 Our first priority is food safety, clean and constant filling in KEGs. 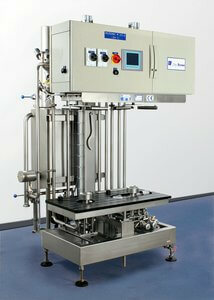 From our MONOMAT for cleaning and steaming your KEGs, up to instalations for fully robotised 1.000 KEG/hour. We have over 1.800 solutions in more than 80 countries. 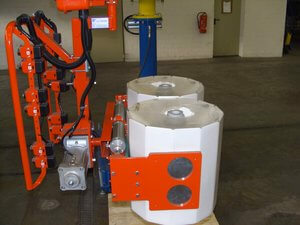 To ensure Top quality, our engineering, product development and full production is in Bottrop, Germany. 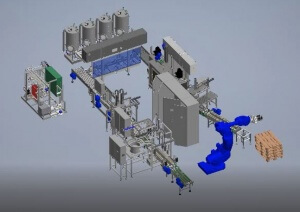 All machines leaving our plant get a full Factory Acceptance Test (FAT). With our dedicated techical team, we supervise the installation on site. 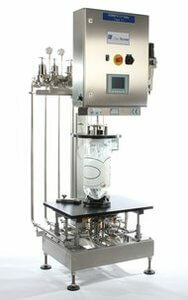 When the machine is started up for the first time, we will be present for training and support.